It’s tremendously fitting that the Co-operative Party ends its month of action on modern slavery today, International Anti-Slavery Day, as Enfield Council and the Royal Borough of Greenwich become the latest local authorities to sign the Charter on Modern Slavery. 41 councils across England and Scotland have now signed or agreed to implement our charter, which commits them to auditing their supply chains to ensure that neither they nor any of their suppliers are inadvertently contributing to this heinous crime. Whilst the majority of councils that have signed the charter are Labour-controlled, we’ve also seen some striking examples of leadership from opposition Labour groups. None stands out more that Cllr Robert Evans, Labour’s sole representative on Tory-dominated Surrey County Council, who persuaded the 60-strong Conservative administration to accept the charter. Thanks to the work of co-operators, over 10 million people now live in an area where their council has adopted the charter. It’s quite an achievement. Yet on one level it should not be a surprise given that 700 members of the Co-operative Party are councillors (either Labour & Co-operative or standing as Labour candidates in multi-member wards). By that measure, we’re the fourth largest party in local government, with a distinct but entirely complementary policy platform from Labour’s. Our unique arrangement with Labour dates to 1927 – and our relationship has never been stronger. Whether it’s community wealth building, tackling modern slavery, supporting private renters in local government or Labour’s shadow frontbench at conference highlighting several eye-catching Co-operative Party policies, it really feels like we’ve broken through. That’s why we were delighted to receive the Labour Party’s Del Singh Memorial Award at Labour conference for our modern slavery campaign, recognising the best of campaigning by labour-affiliated organisations. Few organisations could harness the power of their membership to encourage a sustained period of activity spanning two party conferences. This has included activity at every level of government from Parish Councils to the European Parliament, generating debate in Westminster, Holyrood and the Welsh Assembly, and been fuelled by hundreds of dedicated activists writing letters, tabling motions in party meetings, organising street stalls and petitions, and even a film night. It’s truly politics for people – and if you like the sound of what we do, join us. There’s never been a better time. Gareth Thomas is chair of the Co-operative Party and MP for Harrow West. 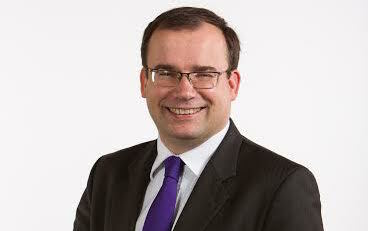 Gareth Thomas MP is Labour &amp; Co-operative Member of Parliament for Harrow West and Minister of State at the Department for International Development. He is Chair of the Co-operative Party.